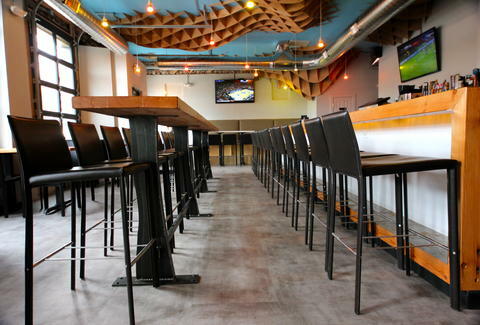 When former employees of Highland Tap & Burger and Pour House Pub decided to open this bar in Tennyson, they must've gone with "West End Tap House" out of fear that Puffy and Mase would beef with them for naming it West Side Tap House. Regardless, now you can get puffy by drinking from their plentiful taps and eating their, umm, locally sourced beef. 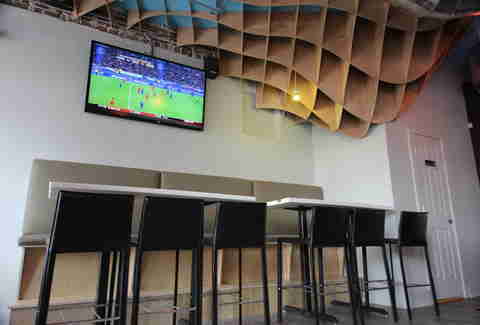 An uber-minimalist layout with booth-lined walls and a long, reclaimed Douglas fir community table is highlighted by custom, interwoven birch sound-dampeners on the ceiling that'll make it easier to have personal conversations. It'll also encourage dudes to be lazy and use the same pick-up line on every girl in the bar. 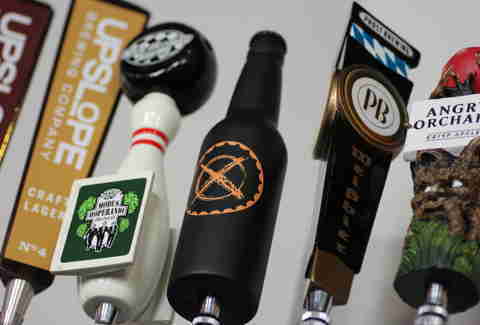 20 CO-focused taps (including three nitros) include the usuals like Odell/ Upslope/ Avery, and a handle from FoCo's Black Bottle Brewery, the only place in Mile High you'll find smooth sipping brews like the 11.5% ABV Imperial Double IPA called Youth Brigade. 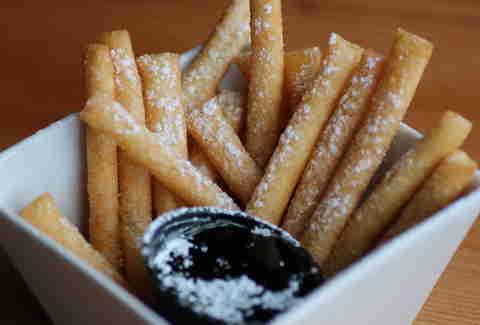 These funnel cake fries are a sweet treat so good, you'll wonder if they've hired a carnie to be their chef! (They didn't -- CO has strict employment laws against hiring carnies.) 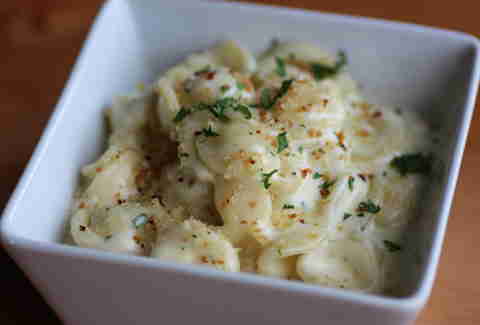 The ultra-rich truffle mac & cheese is made with orecchiette, Gruyere, and white cheddar. 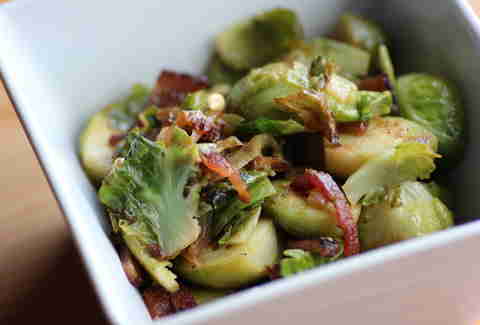 Brussels sprouts are finally edible when mixed with caramelized onions and lardons. Heh. Lard-ons. Heh. Heh. 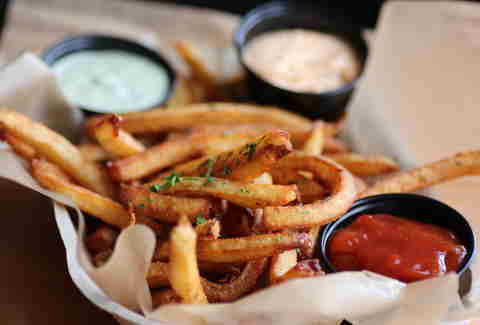 Herb-laden Belgian fries can be plated with sauces like curry catsup, cilantro lime Sriracha, or a horseradish aioli. 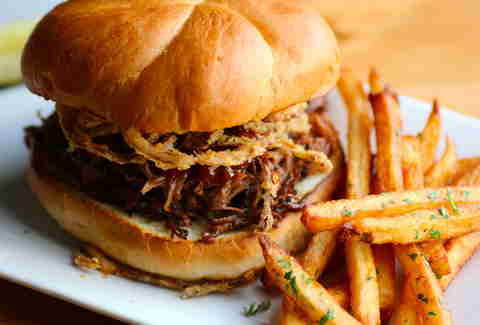 A delicious stomach-mop to soak up the booze, this short rib BBQ sammie is made with 12hr-braised local beef topped by a beer-infused BBQ sauce and fried onions. 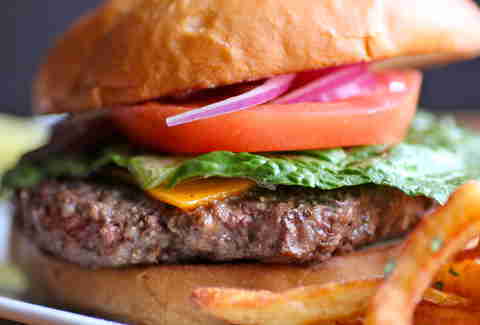 The half-pound beef burger is also sourced from a CO farm. Prepare to become extremely B.I.G.